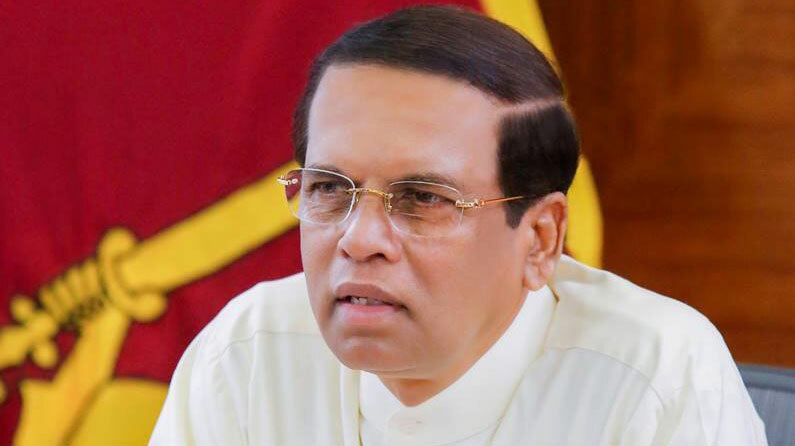 lanka C news | ජනපති මෛත‍්‍රීට තවත් රටකින් පුරවැසිභාවයක්..
දකුණු කොරියාවේ තෙදින රාජ්‍ය සංචාරයක නිරත ජනාධිපති මෛත්‍රීපාල සිරිසේන මහතා වෙත එරට රජයේ උපහාරය පුද කරමින් සෝල් මෙට්‍රොපොලිටන් නගරයේ ගෞරවනීය පුරවැසිභාවය පිරිනමා තිබේ. සෝල් මෙට්‍රොපොලිටන් හි නගරාධිපති Park Won-soon මහතාගේ නිල කාර්යාලයේ දී අද (30) පෙරවරුවේ පැවැත්වූ විශේෂ උත්සවයකදී ජනාධිපතිතුමා වෙත එම ගරු පුරවැසිභාවය පිරිනැමිණි. 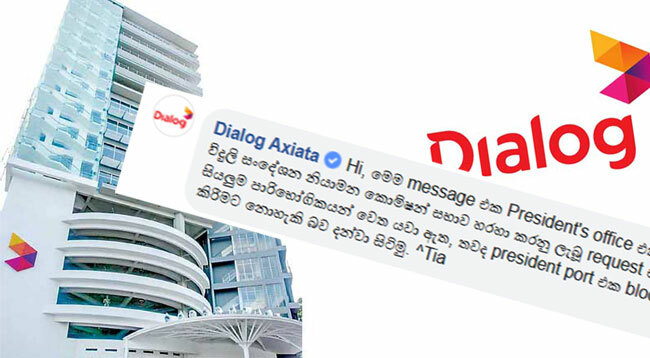 ශ්‍රී ලංකාවේ සංවර්ධනය සදහා මෙන්ම ජාත්‍යන්තර සබදතා ශක්තිමත් කර ගැනීම පිළිබද ජනාධිපති මෛත්‍රීපාල සිරිසේන මහතා තුළ පවතින නොපසුබස්නා උත්සාහය හා වෙහෙස නොබලා දරන වෑයම ඛෙහෙවින් තම සිත්ගෙන තිඛෙන බවද Park Won-soon මහතා මෙහිදී සදහන් කළේය. ඊට ගෞරවයක් වශයෙන් සමීප මිත්‍රත්වයේ සංකේතයක් ලෙස මෙට්‍රොපොලිටන් නගරයේ ගරු පුරවැසිභාවය ජනාධිපතිතුමා වෙත පිරිනමන බව ද ඒ මහතා වැඩිදුරටත් සදහන් කළේය. 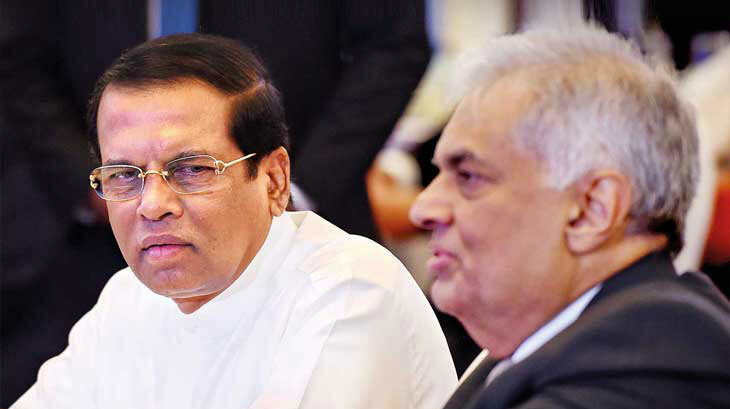 ගරු පුරවැසිභාවය නිල වශයෙන් ප්‍රදානය කිරීමේ සහතිකය පිරිනැමීමෙන් අනතුරුව පුරවැසිභාවයේ පදක්කම් ද ජනාධිපතිතුමා වෙත පැළැදවූ නගරාධිපති Park Won-soon මහතා වර්ණවත් සඑවක් ජනාධිපතිතුමා වෙත පැළදවීය. පුරවැසිභාවය පිරිනැමීම තුළින් මෙට්‍රොපොලිටන් සුන්දර නගරයේ පාර්ශ්වකරුවෙකු වීමට අවස්ථාව ලබාදීම සම්බන්ධයෙන් මෙට්‍රොපොලිටන් නගරාධිපතිවරයාට සහ නගර වැසියන්ට ස්තූතිය පළ කළ ජනාධිපතිතුමා, එය තමාට පමණක් නොව ශ්‍රී ලංකා රජයටත් එහි පුරවැසියන්ටත් දැක්වූ ගෞරවයක් ලෙස පිළිගන්නා බව ද සදහන් කළේය. ඩිජිටල් ඉලෙක්ට්‍රොනික පද්ධතියක් හරහා සෝල් මෙට්‍රොපොලිටන් නගරය මෙහෙයවන ආකාරය පාලන මැදිරිය තුළින් දැක බලාගැනීම සදහා ද එක්වූ ජනාධිපතිතුමා එම සාර්ථක අත්දැකීම් කොළඹ නගර සැලැස්මේදී උපයෝගි කර ගැනීමට අපේක්ෂා කරන බව ද කියා සිටියේය. අමාත්‍යවරුන් වන ආචාර්ය සරත් අමුණුගම, තිලක් මාරපන, දයා ගමගේ, රංජිත් සියඹලාපිටිය, තලතා අතුකෝරාළ, මලික් සමරවික්‍රම, දකුණු කොරියාවේ ශ්‍රී ලංකා තානාපතිනි මනීෂා ගුණසේකර යන මහත්ම මහත්මීන් ඇතුථ ශ්‍රි ලංකා දුත පිරිස මෙම අවස්ථාවට එක්ව සිටියහ. අනේ දෙවියන්ගේ පිහිටයි කොරියාවටත් ලංකාව දියුණුකරපු විදියටම කොරියාවත් දියුණු කරාවි. අනේ ගොනෝ. සිරිසේන එහෙනං රුසියාවට ගියාම ගෞරව උපාධියක් හම්බ උනාද මහින්ද මහත්තයට වගේ ? මේ බටහිර රූකඩයට උන්ගෙ හාම් පුතාලා දෙන ගෞරව තමයි හිටං. හරියට රවියට හොදම මුදල් ඇමති සම්මානය දුන්නා වගේ. 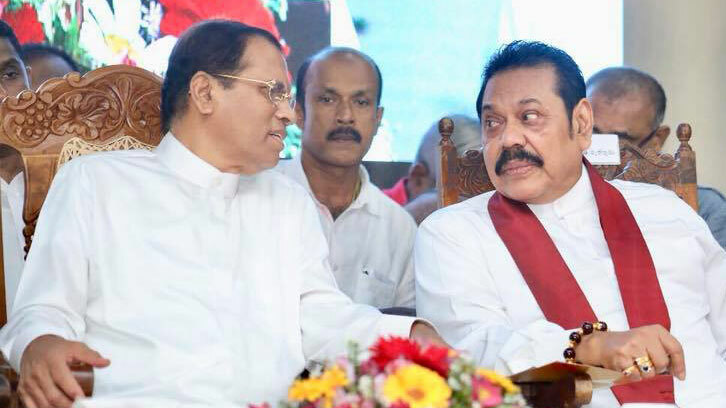 රටට ජාතියට බුදුදහමට විරුද්ද වියවස්තව ජනතා විරෝදය නොතකා පාර්ලිමෙන්තුවට ගෙනල්ල එක සම්මත කරගත්තම සිංහලයෝ කෝප වෙලා ආණ්ඩුව පරද්දුවොත් කියන බය සිරිසේනට තියෙනව මිනිහ නිතරම කියවන්නේ මහින්ද අවොත් මගේ පවුලම ඉවරයි කියල .මේ බය නිසා එයා වියව්සතව ගේන්නේ නෑ නමුත් මිනිහට අමෙරිකාව් ප්‍රමුක බටහිර රටවල් පොරොන්දු වෙන්න ඇති බයවෙන්න එපා ඕනෑම හදිසියකට අපේ අතවැසි රටක් වන දකුණු කොරියාව තියෙනව එහෙ පුරවැසිකම අපි දෙන්නම් එතකොට එහෙට පැනගෙන පස්සේ කැමති ඕනෑම රටකට අපි දේශපාලන රැකවරණ දෙන්නම් ජිවත් වෙන්න කියල . දකුණු කොරියාවේ වැසියන්ට ඇමෙරිකාවට විසා දෙන්නේ ඇමෙරිකානු ගුවන්තොටුපලට ආවම (visa ඕන arival) එච්චරට ඇමරිකානු ගැති රට්‍ක් තමයි දකුණු කොරියාව කියන්නේ . Great !! When is he leaving ????? You have our permission to go. අන්න ඔතනත් කොසොල් රජතුමා දැකපු සිහිනලවන් එකක් ඇති…..
Once a Sri Lankan get the citizenship of another country he will lose the citizenship of Sri Lanka. 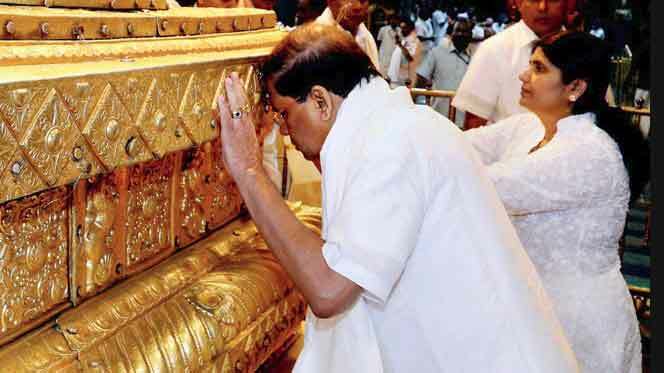 Even to come back he has to apply and should obtain Sri Lankan citizenship again. Even then he will get disqualified to contest for any parliamentary election or for the post of President again as he has now become a dual citizen. I am not sure this offer would allow Sirisena to live in Korea. However, it is not a bad idea if he can find another country to live after he ceased power. 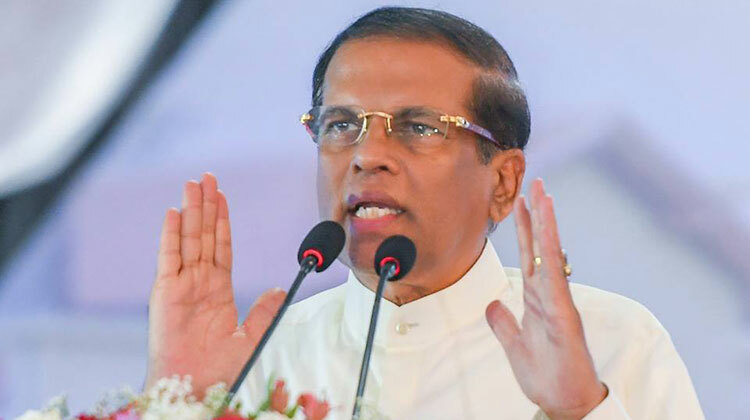 Mr Sirisena, do not say it’s a honour to the country and it masses because you are NOT the leader of this country anymore. den etakota dual citizan ?? my3. then. janadipatikama cancel ??? nedda??. Ethakota Geethage theory meyata adala nedda? ape hamudawa yawala uthuru koreawa yatath karala korea deka ekathu karala devi. 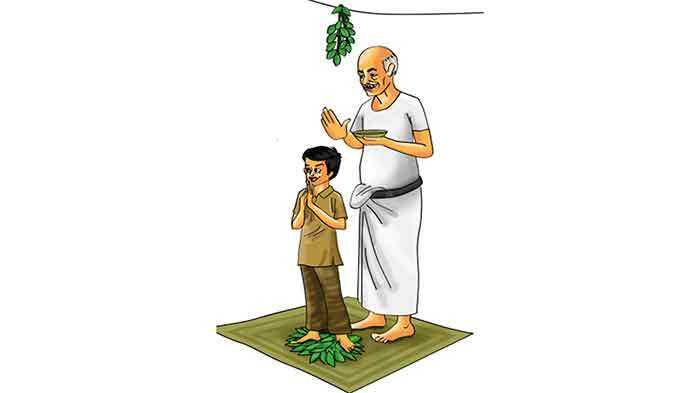 ethakota lankawata amatharawa e koreawe sammana janadhipathikamath labewi. kaatada aadambara. Geethata wuna dai meyatat wenne naiddoo ! Dual citizen wagene kohomath ! Yes this is a Good idea. Maybe South Korean leader somehow knew that after 2019, he has no option but to leave the country with his family for survival..
Now there is a possible ground to remove this useless person from office. Article 91 (1) (d) (viii) No person who is a citizen of Sri Lanka who is also a citizen of any other country is eligible to be elected to Parliament. Parliament under sub-paragraph (d), (e), (f) or (g) of paragraph (1) of Article 91. Now this person is no longer qualified to hold office as President because being a dual citizen disqualifies him from election, if he cannot be allowed to become president how can he hold office now?